How lucky are we to be alive in the 21st Century? We have access to all the greatest, most magical, potent spiritual practices and teachings from across time and space. And in the last century, we have had incredible knowledge literally pouring into every orifice from schools of Western psychology and the human sciences. How can we take this kaleidoscope of wisdom and knowledge, and use it in a practical, playful and grounded way to build a more beautiful future? 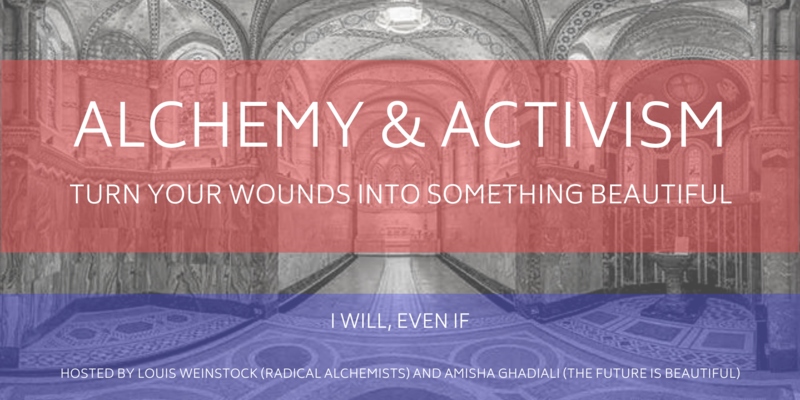 How can we alchemise our individual and collective wounds into the gold of compassionate action? We feel this is a pretty important question in a world obsessed with SELF-help. We want to build a sturdy, inspiring bridge between ‘self’ and ‘other’. We want to move from blame culture to empowered, creative, and hopeful action. 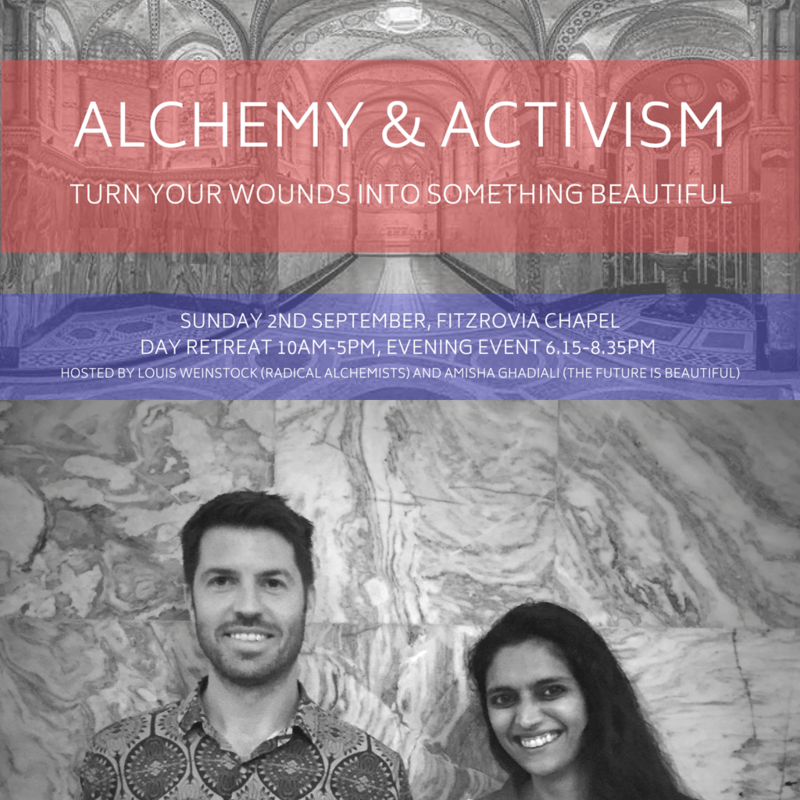 We want to transform our grief and shame at the state of the world into a super-inspiring, practical vision. 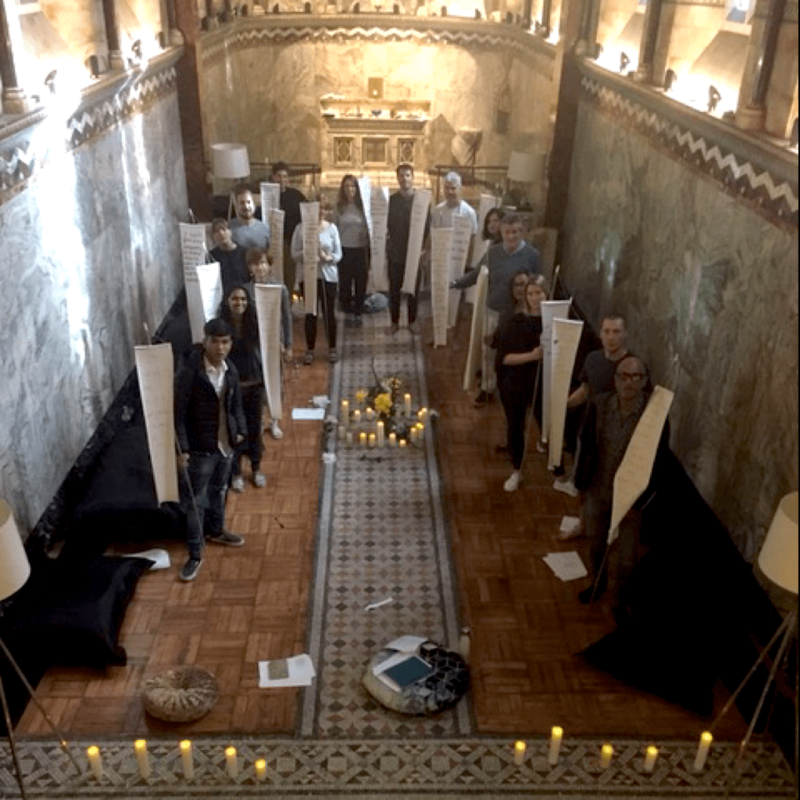 We want to move beyond spiritual bypassing, narcissism, tourism and materialism – and instead really embody our values, starting with the community we find ourself in. This is not easy work, it’s the road less travelled. If you are looking for escapism, this isn’t for you. We ain’t getting high. But we are showing up with rolled up sleeves and a sense of humour as we unlearn what we think we know and explore these questions together. We hosted a day long event in London about this topic, and also hosted a facebook live. + You can watch the facebook live conversation here. We discussed the overlap between personal transformation and solving meaningful problems in the world. Is it true that if enough people just meditate then we can all live in peace for ever more? Is social media helping or hindering the shift to a more caring, peaceful way of being for us humans? b) Donald Trump and Teresa May? What is spiritual bypass, and how to avoid it. 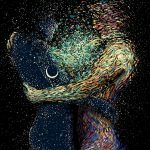 Why we can’t (and shouldn’t even try to) separate our inner worlds from what is going on around us. How we can all find our own form of meaningful activism. Fitzrovia Chapel, Sunday 2nd September 2018.